Today's post highlights the November Paper Pumpkin Kit that made 10 stockings. 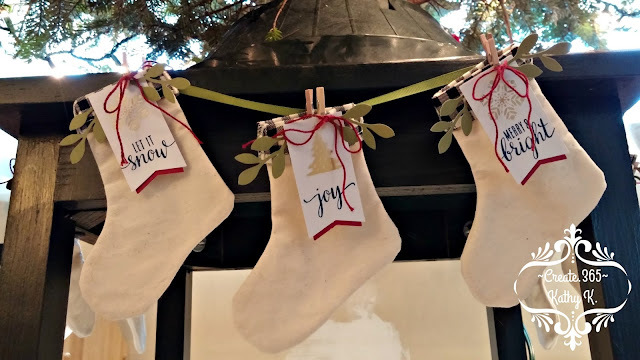 They were just perfect to tuck gift cards inside for holiday gift giving and for decorating with, like I did. 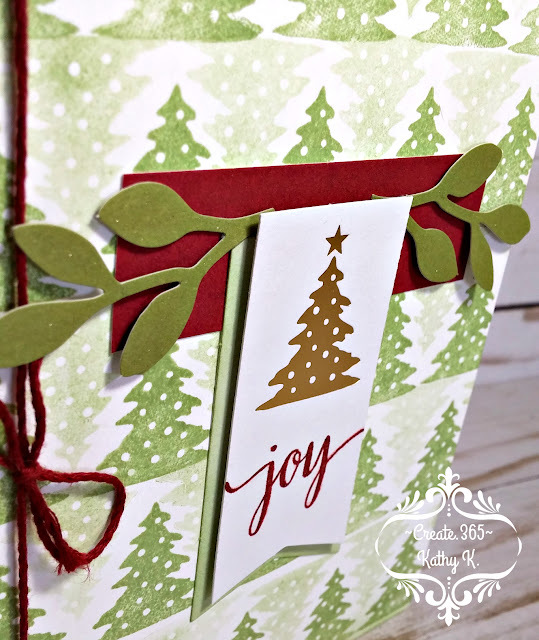 I'll be entering the card @ the Merry Christmas Challenge for "Anything Goes + Christmas" and @ heARTful Stamping Challenge for "Anything Goes + a stamp". 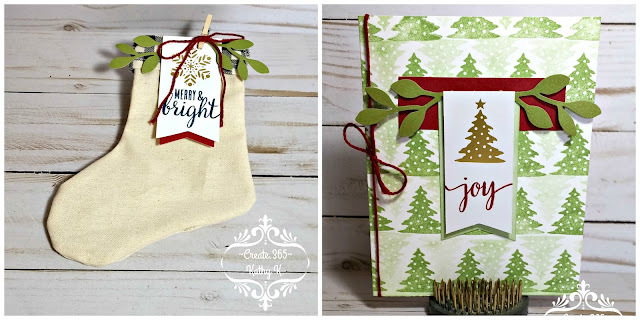 But what you have to remember is that there are always tons of extra elements in the monthly kits even after you follow the instructions to make the included projects. So I used the left over pieces along with some things in my stash to make several Thank You cards too and I just love the way they turned out! Paper Pumpkin is such a great value and there are so many ways to find ideas online that if you aren't super fond of a particular kit and it's intended use you are never at a loss for inspiration! 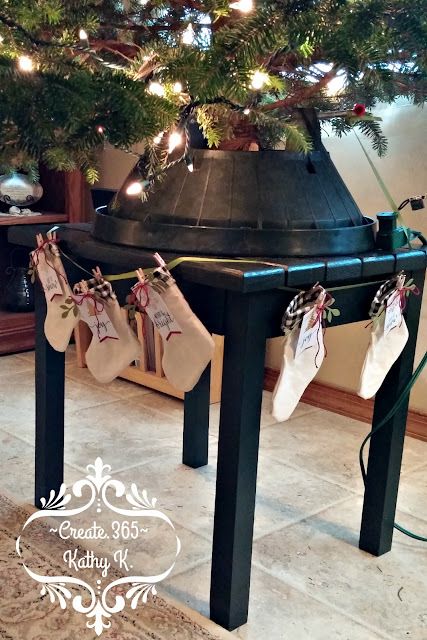 I strung 7 of the stockings on olive ribbon and hung them around the small table that our Christmas tree is standing on to dress it up for Christmas. Cute, huh? Unfortunately, one of my cats also likes them and has been abusing them for the last 3 weeks now, lol! 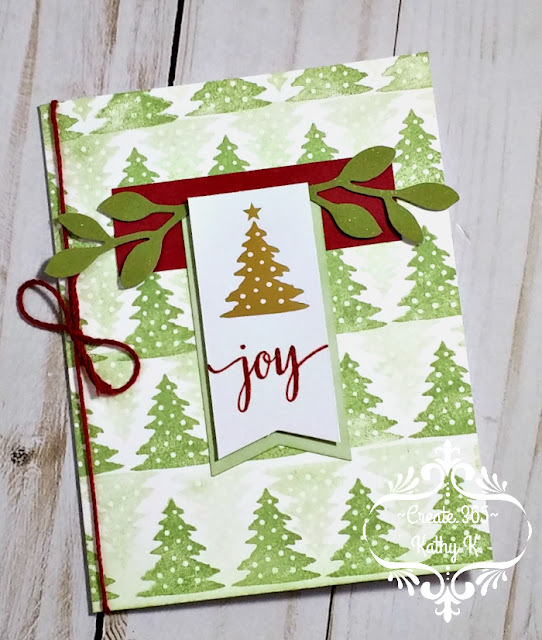 Don't forget that you can order your very own monthly Paper Pumpkin kits for only $19.95 by clicking the link at the side or top of my blog...to get January's you'll just need to subscribe by the 10th of the month! Labels: 3D, Christmas, Paper Pumpkin, Stampin' Up! What cute projects! Thanks again for playing our HeARTful Stamping Challenge! Great card! 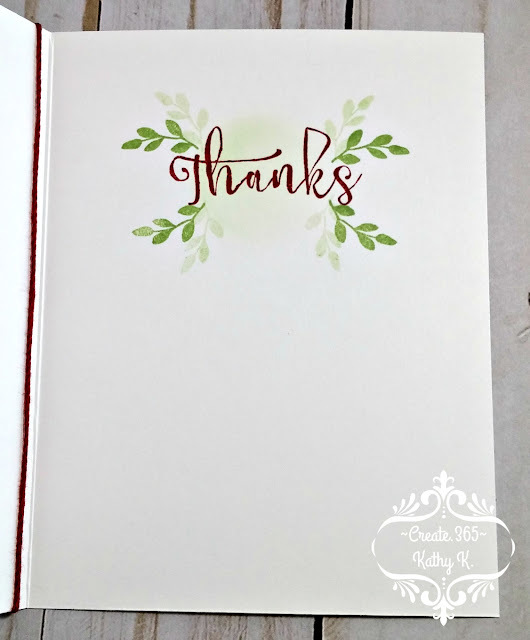 Thanks for joining the Merry Christmas Challenge. Great projects! Thanks for joining us at The Merry Christmas Challenge.